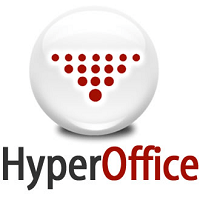 Hyperoffice is a company based out of Rockville, Maryland, and was founded in 1998. The company has a blog, Twitter page, Facebook page, Google Plus profile, LinkedIn profile, and a YouTube channel to keep clients and prospective clients up to date with new software features and happenings within the company. The website also includes two customer service phone numbers that clients may call with any questions or concerns, as well as a live chat service. The company has received ten awards including a Stevie Award in 2008 and a Red Herring North America 100 Award in 2012. HyperOffice is utilized by companies such as McDonald’s, Marriott, Facebook, and UT Austin. There are three Hyperoffice suites to choose from: the Core Collaboration Suite, the Enterprise Collaboration Suite, and the Hyperoffice Total, which encompasses the range of collaboration tools and outside support and monitoring. There are also three add-ons available including Hyperbase, which allows clients to build and access customized databases, Hypermobile, which allows clients to take their work on the go and a business email service, making the email accessible from a PC, Mac, or mobile device. For public sector companies who fall under enhanced regulatory purview, HyperOffice can be deployed to Amazon Web Service’s GovCloud. Prospective clients can access informational videos about the product, and download a free trial or demo from TechnologyAdvice. Learn everything you need to know about HyperOffice. Our experts will reach out to you shortly.